The BBC is currently testing UHD live streams during the course of a number of live events this spring and summer. 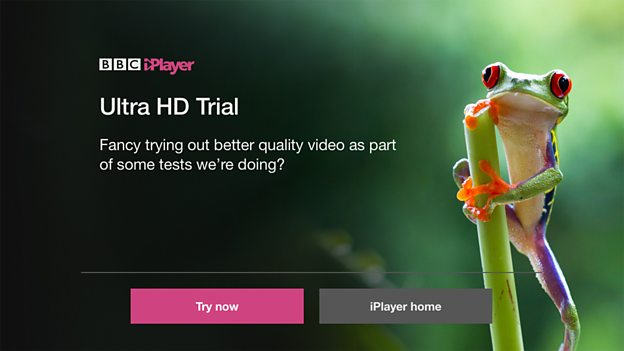 The broadcaster has decided that it will only offer Ultra HD streams via the BBC iPlayer. In the test environment, numbers accessing the streams will be restricted. The following devices currently support the BBC iPlayer UHD live streams. Not all devices that were listed as supporting the on-demand UHD streams are included. Sky Q will offer UHD coverage from Wimbledon, however this will be delivered via satellite not online.